Heating and melting bitumen roofing felt on a commercial building. As a business owner, you have to be precise and 100% sure about the decisions you make. This includes your commercial roofing dilemmas. We know for a fact that there are different roofing systems available in the market today. Despite this, you need the ability to pin down the right materials that would match your priorities as an extremely busy entrepreneur. In today’s blog post, we will introduce one of the most trusted material when it comes to commercial roofing. Let’s talk about the modified bitumen flat roof as well as its benefits and downsides. 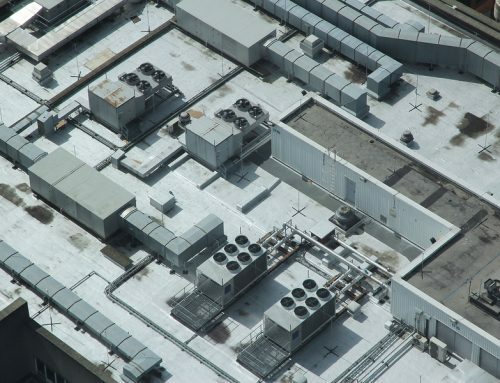 Before we dive right into the specifics, let us first define what flat roofs are and why they are ideal for commercial buildings and industrial properties. 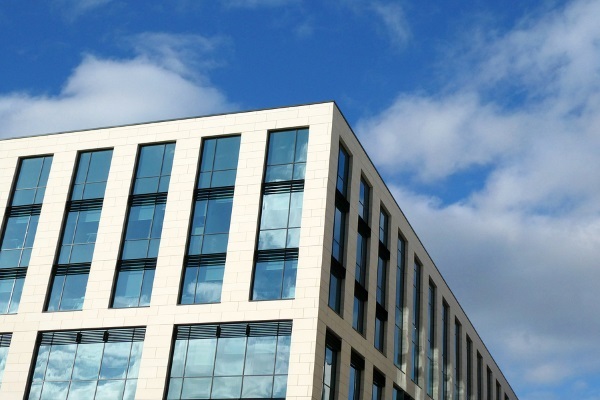 Have you noticed how dominant flat roofing is when it comes to commercial establishments? 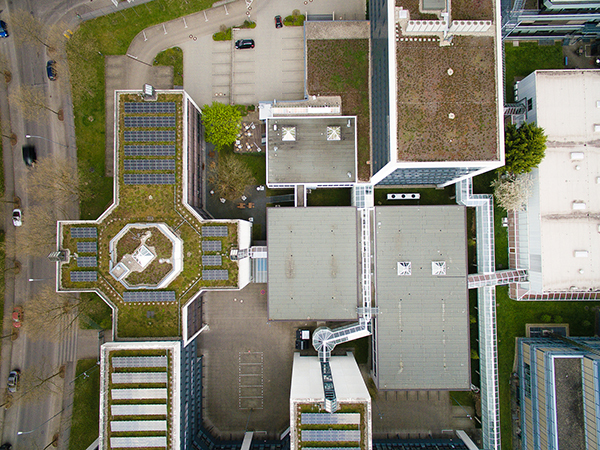 Offices, schools, malls, and other large institutions mostly have flat roofs primarily because they are cost-effective to build. The materials used are also more lightweight making installation less complicated. 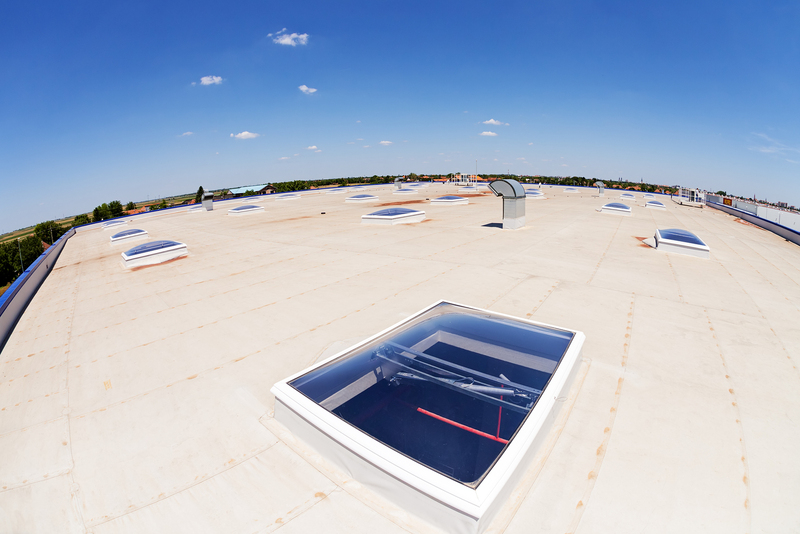 You may be wondering how a low-slope roof drains water if it is flat? The truth is that it isn’t entirely flat. There are slight pitches and slopes that are responsible for shedding water. A commercial building with a modified bitumen roofing system. 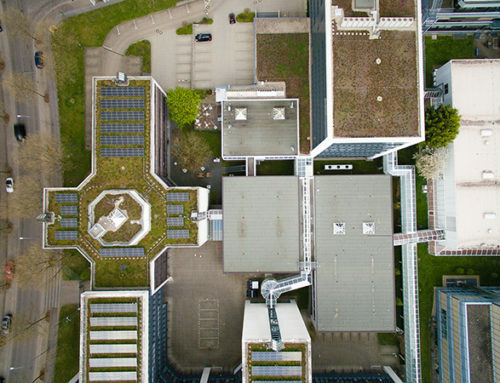 Flat roofs are great for commercial use because they offer an extra space that business owners can transform. They can convert it into a more functional area which could also generate additional income. For example, some people build a penthouse for events, rooftop garden, parking space (if possible), and a whole lot more ideas. 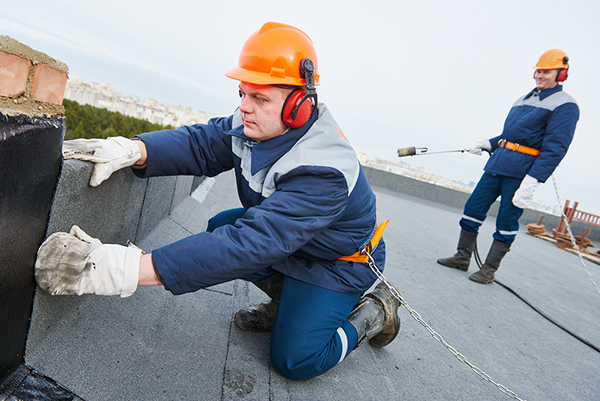 When it comes to maintenance, flat roofing systems provide an easy access for inspections and repairs. There’s a surface that they can walk on safely. If there are issues, it is also easier to spot and locate because of the flat roof structure. What is a Modified Bitumen Flat Roof? A modified bitumen flat roof is composed of asphalt that is reinforced with fiberglass material and other modifiers. This combination results in maximum durability. They come in rolls that workers apply using hot and cold temperatures. There are three application methods including heat-welded, cold adhesive, and hot asphalt. 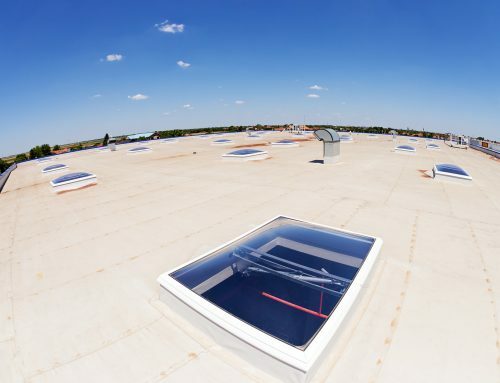 To make it more energy efficient, some roofing contractors recommend coatings on the top-most surface to create a cool roof. If there’s one thing that most people are after for, that’s durability. A modified bitumen flat roof is tough and sturdy. That’s for sure as this roofing system has been around for more than 50 years now. It does not only have superior durability. A modified bitumen is also fire-resistant and waterproof. It also has the ability to withstand harsh weather conditions like heavy storms, tornadoes, snowstorms, hail, etc. Not only those because there are more. It can resist thermal shocks and splitting. A modified bitumen material can effectively reflect ultraviolet (UV) rays coming from the sun. 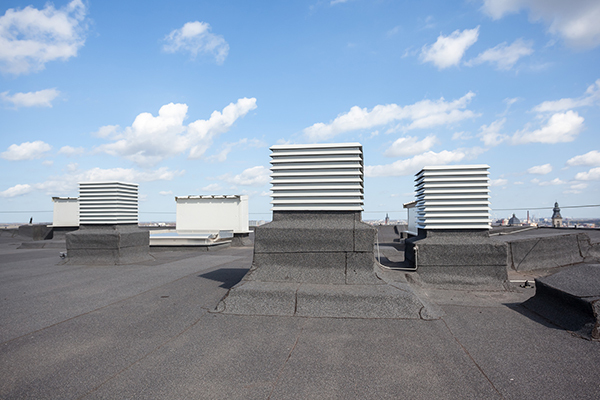 With proper insulation, you can reduce the use of cooling equipment. Its prices could vary depending on the composition and coatings. Usually, it would range from $4 to $6 per square foot. Since it is easier to install, labor cost becomes even more affordable. 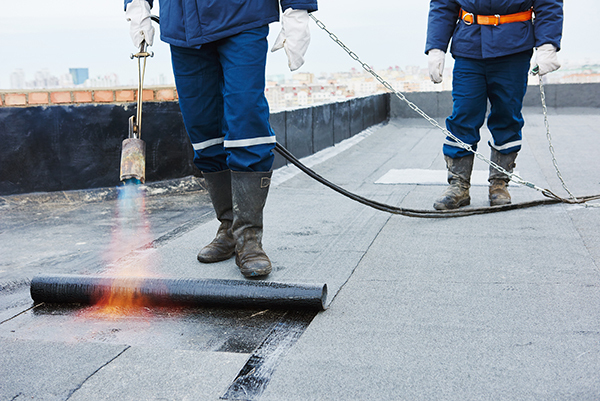 A modified bitumen flat roof requires less maintenance as they can stand on their own for a long period of time. Another good thing is that workers can easily reach the flat surface should there be a need to perform repairs. A modified bitumen roofing has a relatively shorter lifespan as compared to other more long-lasting materials. It can last for 10 to 20 years depending on how you would take care of it through regular inspections and maintenance. Handling and installing modified bitumen require expertise and proper training. Workers use a blowtorch to install modified bitumen which could be tricky to manipulate. It is extremely hazardous, thus, you need ample training in order to handle it properly. If you fail to hire an experienced professional roofer, the output would not be on par with the industry standards. Hence, you wouldn’t be able to maximize your investments. You also have to note that melting asphalt during installation could create an unpleasant smell. Be sure to inform neighboring buildings in case you would push through with this. Modified bitumen is prone to tearing especially if they are frequently walked on. It also has the tendency to pond water after strong storms. Like any other flat roofing system, daily wear and tear could affect its lifespan and performance. When choosing a modified bitumen roofing system, you need to sacrifice on the design as it only comes in color black. There are coatings that can come in other colors. However, they are still very limited. 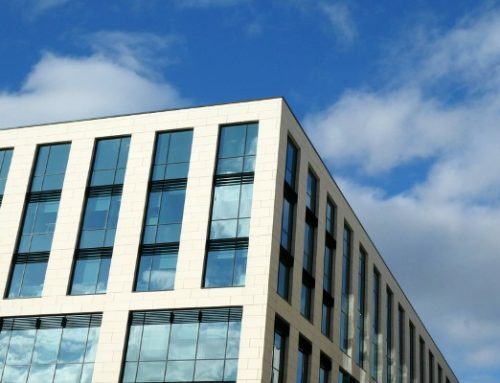 If you want a straightforward look just right for your building, then this might be a good choice. If you don’t see yourself having to deal with a modified bitumen flat roof, no need to worry. There are other low-slope roofing options that you can consider. Tar and gravel is also called a built-up roofing (BUR). Like a modified bitumen, it is also very durable and waterproof. The only difference is that this one is more long-lasting. It can last for up to 40 years with the right maintenance. Tar and gravel could also be difficult to install due to its weight. Moreover, there is a tendency for the tar to shrink over time. Mastic Asphalt (MA) is unquestionably tough. In fact, it has been around for over a century already. 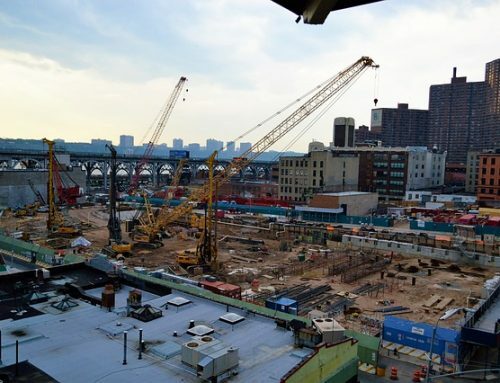 If you’ll notice, during construction, worker create reinforced joints to support the material. This process makes it a little more complicated to handle. 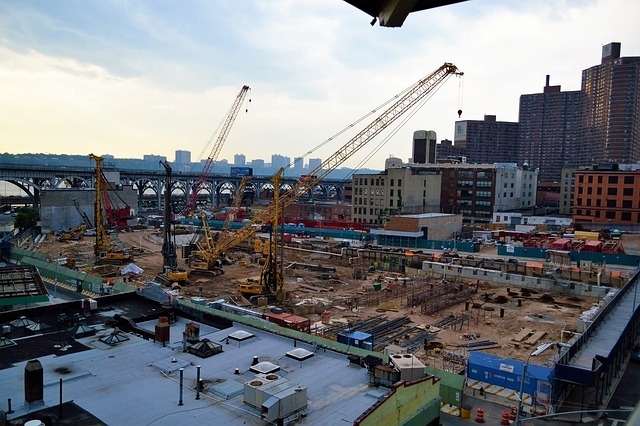 While it is indeed low-cost, you have to consider how labor could impact the overall price. 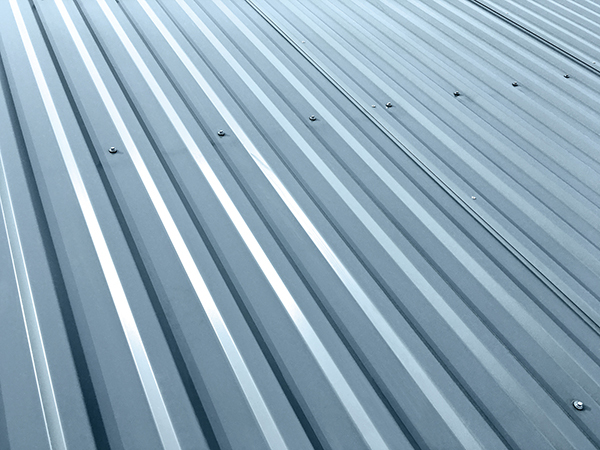 A closer look at a commercial metal roofing sheet. Metal is your choice of roofing is you want to achieve a modern and industrial design. What’s great about it is that its life expectancy extends for up to 50 long years. This is also an eco-friendly option as it can reflect sun and heat minimizing energy consumption. There are different types of metal such as steel, zinc, aluminum, and copper. Metal is resistant to punctures, water, fire, and harsh weather conditions. However, you have to note that this is one of the materials in the higher-end of the spectrum. 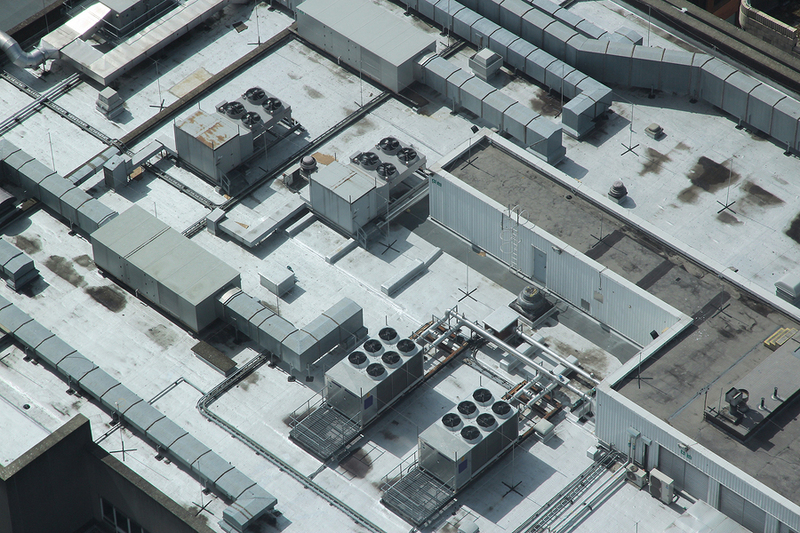 There are different types of commercial flat roofing systems. We have shared the most popular options particularly the modified bitumen flat roof. All the key elements are present – durability, performance, and cost-effectiveness. However, you have to also accept the drawbacks like lifespan and other installation risks involved. We hope that this post helped you gain an idea of what flat roofing is the right fit for you. We also know that it’s difficult to fit all the information in one blog entry. For sure, you have other questions to help you narrow down your decisions. The team behind Cox Roofing Systems is here to assist you further and provide you with topnotch commercial roofing services. Get in touch with us through 877-264-6983.